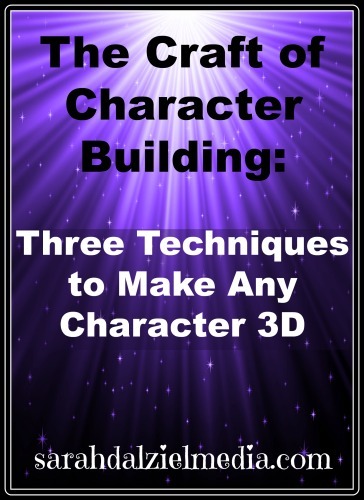 Among the many challenges of writing an interesting and convincing story, the challenge of creating 3D characters is the largest. Characters who engage the reader, are sympathetic, and relatable can sometimes make up for slight deficiencies in description or plot, while characters that are clichéd tropes or cardboard cut outs will only magnify other writing deficiencies. There are several dangers when approaching character building. The first is making your character too perfect. No person is perfect, and book characters must reflect that. While a book character can be larger than life in some respects, being the best swordsman in France by 18 for example. But, they will also need to be impetuous, rash, or have some other fault to off-set their perfection. A perfect character is as much to be avoided as one who is merely cardboard. Equally dangerous to having a too perfect main character, is having a villain who is too flawed. Every villain has his good tendencies, just as every hero has his bad ones. Striking the balance between good and bad tendencies in your characters is essential to building characters who are both believable, and sympathetic to the reader. But, if you are just starting a book and have no idea as to your main character except their name. Then, how do you manage to create a fully 3D hero, villain, or side-kick? The Interview is one of my personal favorites for learning about my character. To conduct an interview requires a little bit of creativity, but we’re writers so that should be expected. Go to a quiet place where you can talk out-loud if necessary without attracting attention. Then, talk to your character. Ask the character about their childhood, how they reacted when the inciting incident began the story, their experiences in the story (if you don’t already have an outline, this can help build one too), and what happened after they went back to normal life. You can even ask them to describe themselves, their traits and faults. I find asking the question out-loud and answering out-loud help me think through the character interview, and as the questions are answered I write them down and make any additional notes that I want to. An interview can be similar to a “character outline” or “character sketch.” The main difference is that, instead of filling out a form, you are simply talking with the character and taking notes. The advice in most stories is to start with the “inciting incident” or as close to that point as possible. For myself, I like starting several minutes after the incident when the action is at its peak and leaving the necessary questions for after the action calms down a little. However, for character building there is an interesting way you can learn more about your character. Place them in a situation, any crisis situation will work, and write how they respond. It may be an earthquake, stranded at sea in an open boat with but one day’s worth of water left, or caught in an apartment fire. One’s response in crisis is a very good indication of one’s character. In any crisis, or dangerous, situation how does your character respond and who is their first thought for? Maybe your character’s main flaw is that he is selfish, or her flaw might be that she never thinks of her own family but only of others. In crisis, your characters instinctive reactions will show you a lot more about them than anything else. This character understanding technique is a fun one, particularly if you have ever been tempted to write fan-fiction for something. The basics of this is to take a known story, with known and developed characters, and put your character into a situation with them to see how your character reacts and relates to the known characters. For example, you could throw your main character into the hunt for orcs with Aragorn, Legolas, and Gimli. Writing that out, and create new dialogue in the scenes to learn how your character lives. Does Aragorn think your character is a slime ball? Does Legolas think your female MC is pretty or might make a good elf if she knew how to use her bow well? If you really wanted to get crazy, imagine how your character would react if they woke up a rabbit in Watership Down. Maybe your character wakes up as a villain when you meant to have them as the hero. Provided you know a story well, you can drop your character into any story and see how they react with the developed characters of that story to get a better idea of their character. One of the biggest challenges in a story is when someone does something “out of character.” This can be utilized to your advantage, for example an out of character or location phrase might mean that someone was playing a part or from another world or time. Alternatively, someone acting out of character might alert your main character to a spy in the house, or an assassin, or worse. If you know your characters, you can use out of character words, expressions, actions, and behaviours to add extra depth and richness to your plot. Of course, knowing your characters well will also mean that you do not end up with accidental out of character incidences, and your writing will be stronger as a result. While plot and writing skill are important, in the end of any story it is the character who is remembered. The main character is who the reader will most identify with, and a well-crafted main character with a few well-crafted friends and enemies can ignite nearly any imagination. As a reader, I remember characters and incidents far better than whether the dialogue was good, or the description was interesting. I have found that a sympathetic character can make me ignore stilted writing, or awkward phrases, because I am focused on that character’s struggles to the exclusion of worrying about grammar. Now, that doesn’t mean that if you have a good and well developed character you can ignore the rest of the craft of writing. It just means that, there are rare occasions when character carries the story far more than the plot. The best plot in the world will fail without developed and sympathetic characters. What techniques do you prefer for creating a 3D character? When reading, how essential do you consider good characterization to be?